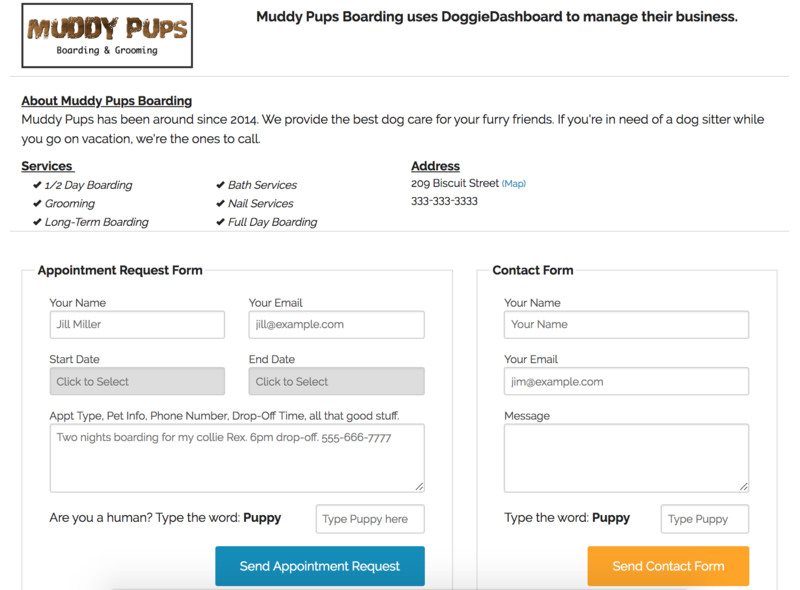 Every DoggieDashboard business gets a customizable appointment request and contact form page. This page can be linked to from the business's main website using the provided HTML widget. The page gives businesses the ability to list the services they provide, their address as well as a short business biography. The main feature, however, is the appointment request form. Potential clients can request an appointment with the business. All appointment requests are directly routed to the business's email on file, so the business owner can field requests from the comfort of their inbox (without having to log into DoggieDashboard).